The Great Plains Energy Corridor was created at Bismarck State College in 2008 through the efforts of former U.S. Senator Byron Dorgan. The Corridor was tasked with providing innovative approaches that bring people together to advance the development of North Dakota’s abundant and diverse energy resources. 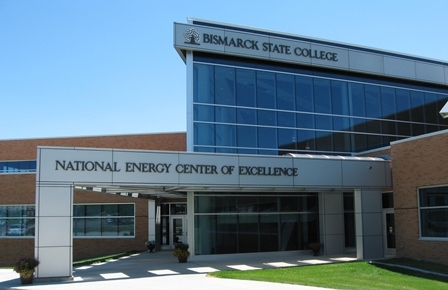 The GPEC works with Bismarck State College’s nationally recognized energy education programs, which provide state-of-the-art training and education to current and future industry employees. Renewable, sustainable, green, and environmentally and economically sound sources of energy- these are just some of the big energy topics the Corridor will work on with our partners. Together, we provide information, education, outreach programs and special events on topics ranging from enhanced geothermal systems to renewable fuels, sustainable development, and energy transmission and storage technologies. The Corridor works with partners in government, education and the private sector to promote the advancement of energy-related activities through federal funds and other sources that will benefit North Dakota. Together, we can help create a vibrant and innovative energy industry along the Corridor. The Great Plains Energy Corridor office is located in the National Energy Center of Excellence (NECE) building on the campus of Bismarck State College. Dedicated in September, 2008, the building also houses the college administrative offices, the energy technology education programs, and the college’s Continuing Education program facilities. The NECE building was constructed with energy efficiency as a top priority. It is heated and cooled with a ground-source (geothermal) heat pump system, the lighting meets the requirements of the Leadership in Energy & Environmental Design (LEED) specifications, and the ventilation system utilizes a total energy heat recovery system coupled to the geothermal piping system. In addition, the building makes use of Flexcrete, which is a construction material manufactured with fly ash, a by-product of the coal combustion process.